For half a century, Solarban glass has kept occupants comfortable and allowed architects to realize their boldest visions. Solarban glass products feature some of the highest light-to-solar gain (LSG) ratios in the industry, and can be combined with a wide array of tinted glass options by Vitro Glass for even better performance and aesthetic effects. 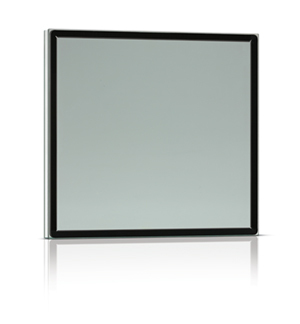 The latest evolution in solar control low-e glass, Solarban 90 glass conveys a neutral appearance similar to that of clear glass in both color and reflectance. 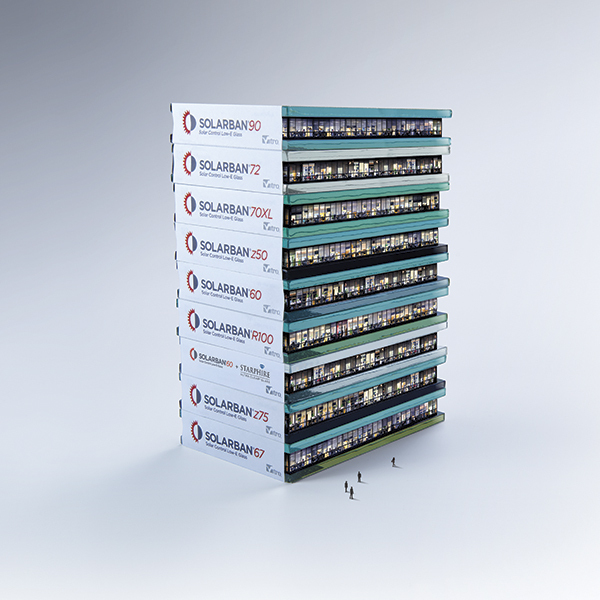 Solarban 70XL glass, a technological breakthrough in solar-control low-e glass, offers a balanced combination of visible light transmittance, solar control, and clarity. When Hurricane Katrina struck New Orleans, Samuel J. Green Charter School experienced some flooding, but was spared significant damage; however, the aging facility, which was equipped with 1920s-style vintage wood windows, had its own obstacles to overcome. In the wake of any tragedy, society struggles collectively to process the loss. For some, it is the loss of friends and loved ones, but for most, it is the feelings of safety and trust that are diminished. Until now, design professionals have had to rely on adding off-the-shelf actuators to standard windows to provide automated natural ventilation in a building. With this as the only available solution, there have been several problems. A modernized look and improved daylighting are a few of the benefits a Boston office building is enjoying thanks to a strategic redesign project. 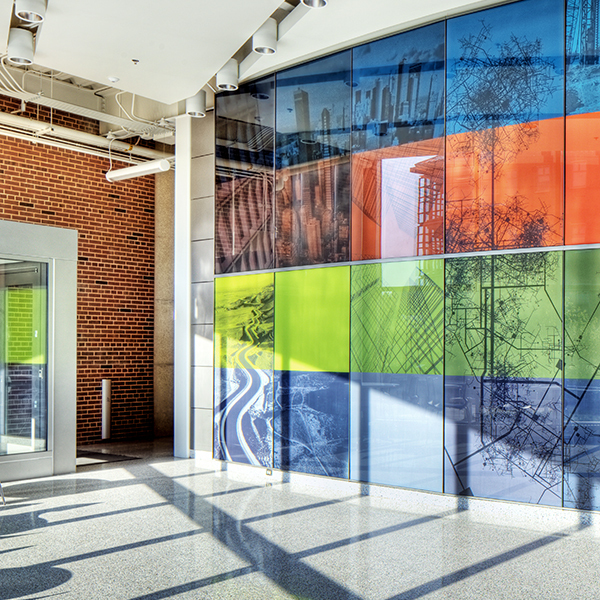 The design of the new Student Success Center at Newport News, Virginia-based Christopher Newport University (CNU) prioritizes far-reaching daylighting and eye-catching aesthetics. The most prized types of windows and doors—composed of custom, handcrafted, solid, hot-rolled steel—grace innumerable luxury residential, commercial, cultural, institutional, and historically prominent structures across the United States.